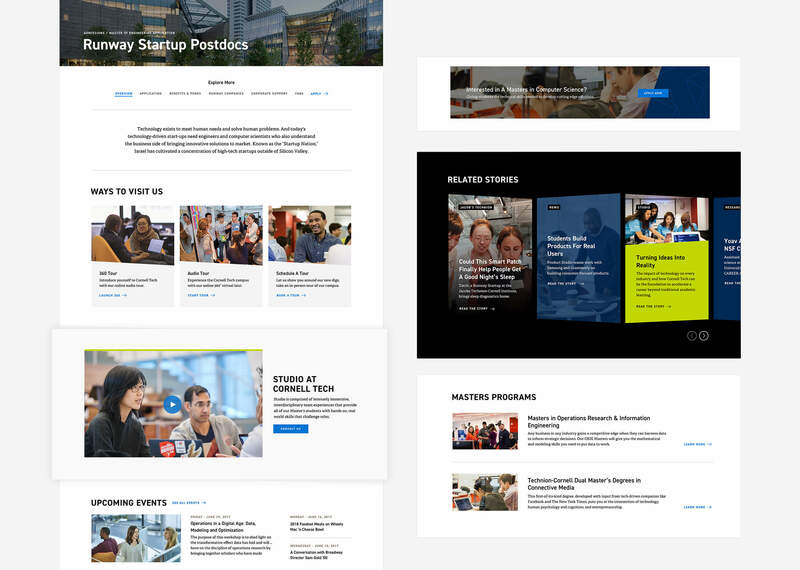 Barrel worked with Cornell Tech to streamline the design system for the Cornell Tech website and replatform the website from Expression Engine to WordPress. Opened in 2017, Cornell Tech is Cornell University’s campus on Roosevelt Island in New York City focused on graduate-level engineering programs. 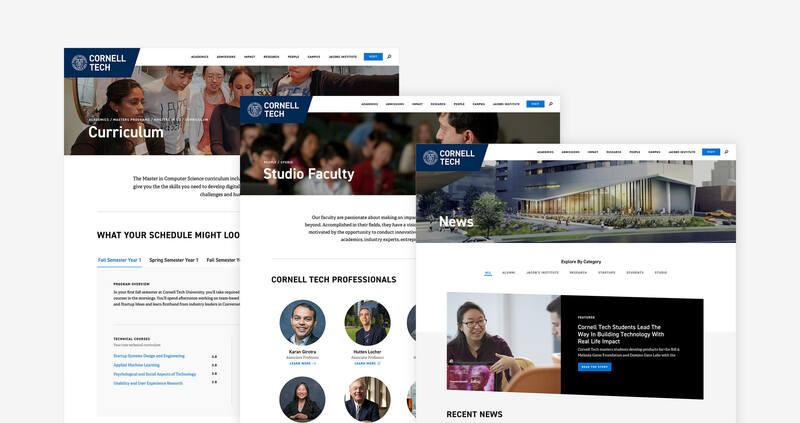 As a result of several phases of modifications from different design/technology teams, the Cornell Tech website had become a disjointed user experience and challenging to manage for the Cornell Tech team. Barrel’s engagement started with an in-depth information architecture and design system audit that resulted in a new modular system that provides visual consistency and a scalable platform for growth. The site architecture was streamlined from the ground up including a new navigation and consolidation of pages. With the new modular design system, the website was rebuilt with new front-end markup including best practices for ADA compliance. The WordPress CMS was customized to support the modular approach across templates and hosted on Pantheon for performance and security. The Barrel team developed custom content migration scripts from Expression Engine to WordPress and implemented redirects to maintain SEO visibility for the site. The Cornell Tech website adds to Barrel’s portfolio of clients in higher education including Columbia University and Princeton University. Check out the site at tech.cornell.edu.